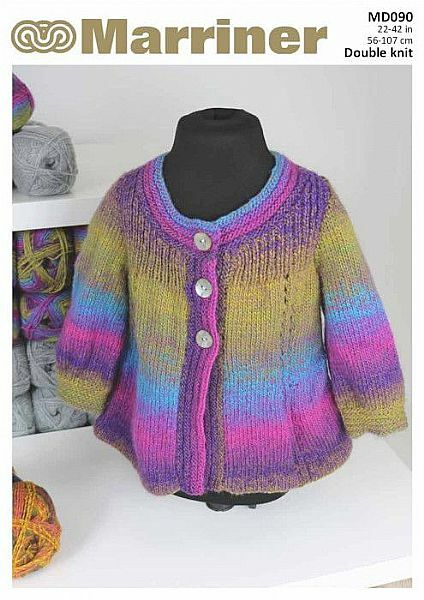 A beautiful children's cardigan knitting pattern in DK with a unique swing effect. This has been knitted in our Hermitage DK yarn. Hooks required Pair each of 3¼ mm (UK 10 - USA 3) and 4 mm (UK 8 - USA 6) Marriner knitting needles. 3 large buttons.